(Photo : Rick Diamond/Getty) NASHVILLE, TN - DECEMBER 02 2015: Adam Lambert performs onstage during the 2015 'CMT Artists of the Year' at Schermerhorn Symphony Center. The upcoming Fox remake of cult classic musical The Rocky Horror Picture Show gets a little more exciting with each bit of casting news. 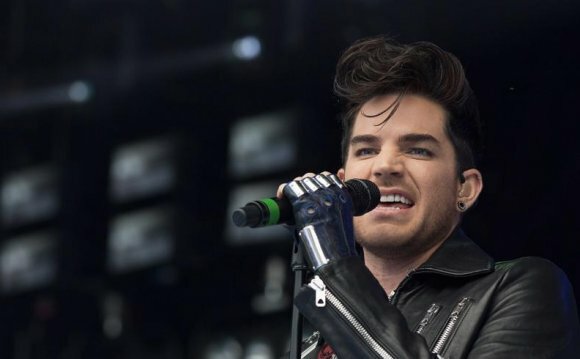 Now, American Idol alum, and frequent Queen collaborator, Adam Lambert has landed the role of the "Hot Patootie"-singing Eddie, made famous by Meat Loaf (Michael Lee Aday) in the 1975 film. According to The Hollywood Reporter, Lambert has been confirmed in the role, joining the cast of the new version of the story. This marks the second time the singer has joined a Fox musical: from 2013 to 2014, Lambert played Eliott "Starchild" Gilbert in the network's popular show Glee. "I grew up watching Rocky Horror, but could never imagine that I would be part of this new vision, " an excited Lambert said in a press release, according to Vulture. "Rocky Horror always made me feel like it was OK to celebrate my weirdness. Hallelujah, bless my soul! I love that old time rock-n-roll!" he finished, referencing the most iconic song his character plays. In the film, Eddie is a delivery boy who arrives to the creepy home of the Transylvanians and ends up becoming a science experiment. In his desire to make the perfect human, Frank-N-Furter (Tim Curry in the 1975 film) takes part of Eddie's brain, which he then uses to create the handsome but not-too-bright Rocky (Peter Hinwood). The character is then locked up in ice, unfrozen and ultimately killed. After his death, there's one fun song about him, "Eddie." So far, the TV movie stars Orange is the New Black actress Laverne Cox as Frank-N-Furter, Victoria Justice as Janet Weiss (Susan Sarandon), Ryan McCartan as Brad Majors (Barry Bostwick), Reeve Carney as Riff Raff (originally, creator Richard O'Brien) and Staz Nair as Rocky. The roles of Magenta, Columbia, Dr. Scott and the Criminologist are yet to be cast, so expect more news in the coming months. For now, no airdate has been announced other than the fact that it's coming out this year.